Organizers of the Jaipur BookMark estimate the Indian book market is worth $20 billion, while noting ebook sales have contracted by as much as 20% this past year. Earlier this month, saw the second session of Jaipur BookMark, the professional publishing platform which runs in parallel to the ZEE Jaipur Literature Festival. The event, according to its press office, unveiled several intriguing facts, including the news that the estimated value of the industry in India is some $20 billion, according to a press release, which noted “with a legacy of over 200 years” — meaning it is not clear if this is annual or cumulative. A more reasonable and likely estimation would put the market at $1 or $2 billion. Despite this, many lamented that publishers are still viewed wish some suspicion by the banking industry, which is often reluctant to fund expansion. All in all, conversations were in line with much of what else is being discussed across the developed publishing world and markets. Surprising, much like in the United States, ebooks growth has plateaued — and in India, ebook sales have fallen as 20% in the past year, according to a press release put out by the festival organizers. A variety of authors, including Ashwin Sanghi and Amish Tripathi, noted that “publishers need to be adaptive” and that responsibilities for marketing is falling just as much on the authors as the publishers. In India, ebook sales have fallen as much as 20% in the past year. As always with India, literacy was a hot topic and the need for a National Reading Policy was under debate and whether it was a viable policy in India. Addressing the topic of libraries and their role as public institutions fostering a reading culture beyond those of the privileged few, Dipali Khanna, Director of the IGNCA (Indira Gandhi National Centre for the Arts), “shared that she would like to see enormous expenditures on the Centre’s acquisitions to be decided by the general public and not leave decisions to a limited few authors and researchers,” said a press release. The first winner will be announced at the next Jaipur BookMark to take place next January 2016. 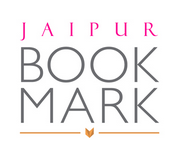 The Jaipur BookMark was established by author and co-Director of the ZEE Jaipur Literature Festival Namita Gokhale, NORLA Senior Advisor Oliver Møystad and Naresh Khanna.